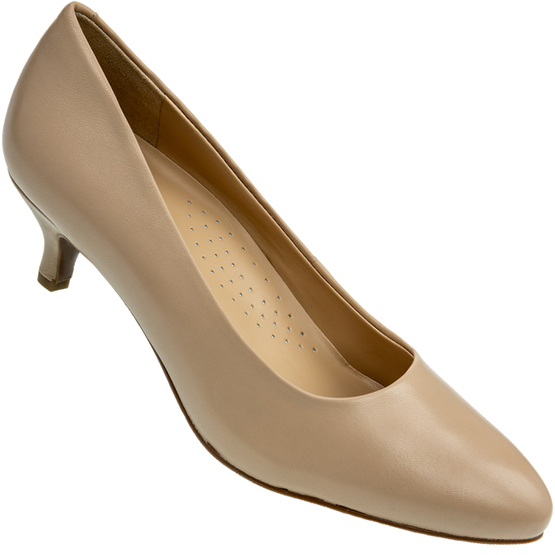 This stylish court shoe has a kitten heel and a gorgeous suede upper. The removable insole has generous cushioning and the interior is also finished for outstanding attention to detail. The outsole is slip resistant with flex at the front.